"The whack heard 'round the world" wasn't exactly what you thought. On January 6th, 1994, US figure skater Nancy Kerrigan was attacked with a tactical baton on the back of her knee just two days prior to Olympic trials. The world watched Kerrigan cry out on camera in a state of confusion and agonizing pain. In the weeks and months that followed, testimonies were made that were especially damning of Tonya Harding, another US figure skater, arguably Kerrigan's biggest rival. If you want all the nitty-gritty details of these testimonies of her ex-husband, ex-bodyguard, and the men who actually committed the physical attack, there are some great resources online. In this article, I'll be focusing on the aftermath of the attack and legal battles for Tonya Harding, and why she, without a doubt, got the worst sentence out of everyone involved, without any true evidence. After a rough Olympic program following equipment issues, Harding finished in eighth place at the 1994 Olympics in Lillehammer, and Harding ended up pleading guilty to conspiracy in relation to hindering the prosecution of the men who attacked Nancy Kerrigan. Her punishment was a $160,000 fine, three years of probation, and 500 hours of community service. However, the worst of all was yet to come. 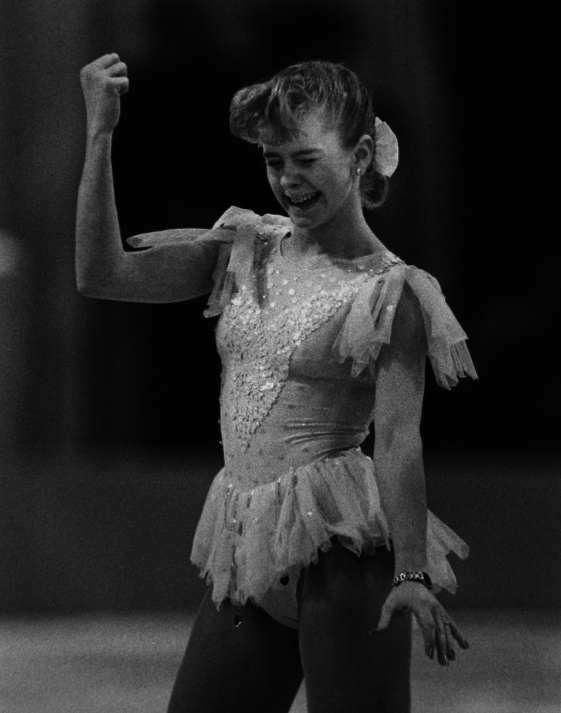 Tonya Harding was banned from the United States Figure Skating Association for life. This meant that she was forbidden, as a skater or as a coach, from participation in any USFSA event. Let's bring a little of Harding's history into the mix here. Harding left school before her 16th birthday so that she could dedicate all of her time to skating, never held a skilled job, and had essentially no formal training in... just about anything. The only thing she knew was skating, and someone with a robe and a gavel had just taken her potential life's work away from her in a mere instant. Harding had already been seen as the antithesis of what a figure skater should represent. Coming from a lower-class family with a very thin disposable income to spend on skating, Harding had to make some of her own costumes for professional competitions, which she was told had and would continue to affect her score. She was built like an athlete, not an ice princess like Kerrigan. This meant that besides her skating, which was the best in the world for a shining moment, she was just a poor girl from a suburb of Portland with no future. Banning Harding from the United States Figure Skating Association essentially meant banning her from ever receiving any type of sponsorships, coaching opportunities, or skating opportunities in the professional world; she had become an untouchable. Many saw her as a blemish on the figure skating community's reputation, but many saw it as a tragic case of an abused girl being taken advantage of until there was nothing left but exploitation. Following the case, Harding tried her hand at a (failed) boxing career, and eventually ended up near her hometown working as a manual laborer after not seeing any other viable employment options for her. "The Whack heard 'round the world" and the time that followed for Tonya Harding was not easy. No one will ever know for sure what happened behind closed doors, but most that know of the case hold strong opinions on who was responsible for what. Tonya Harding had a difficult upbringing and a difficult adult life because of this mixed with extreme factors. With the release of "I, Tonya" I hope people will see the person behind the scandal, and she will be given her rightfully-deserved time in the spotlight. We always expect people to listen to our opinions and see the logic of our evidence, so why don't we approach others with that ideal open mind? From the moment we're capable of thinking we're capable of developing opinions. With these opinions, we can enter into intelligent and respectful conversations with one another that can be deep and meaningful. The key word in that last sentence is can. Just because we have the ability to have these conversations, doesn't mean we do. I would even argue that most of the time our opinions have the opposite effect. So here's a short list that explores why our opinions are more likely to cause problems, rather than be the subject of a healthy discussion. We make snap judgments about nearly everything and everyone, and this is a perfectly acceptable thing to do seeing as how it's part of our innate human nature. However, this becomes a problem when we decide to share our opinion with the world and then we can't back it up. Generally speaking, human beings tend to be very opinionated creatures, but we need to learn to bite our tongues when we don't know what we're talking about. It can cause major problems to enter a conversation, or even worse start a conversation, when we haven't done any research on or experienced the topic of said conversation. First and foremost, it'll make us look ignorant when our friends, family, or the people in the comments section of a social media post start correcting us. Additionally, when we don't have any evidence to back up our opinion, we'll start attacking the other person's character ― calling names, saying threatening things, etc. Ultimately, if our opinion is based solely on one of those snap judgments, we should keep it to ourselves. We tend to oversimplify matters, and this phenomenon is especially evident when it comes to topics of controversy. We're expected to be pro-life or pro-choice, Democratic or Republican, for gun control or against it, but there's rarely ever only two choices. What about people who are pro-life or pro-choice depending on the situation surrounding the girl and her unborn child? Or the people who have ideas and values in common with both Democrats and Republicans? Or the people who think only certain guns need to be further restrained or outlawed? These are complicated issues and we can't oversimplify them by expecting people to be for this and against that ― it completely ignores their complexity. Fake news has always been a problem, especially when it comes to political campaigns; however it's an issue that's gained popularity ever since the internet and social media came to be and fake news could be spread more easily. Fake news spreads like wildfire online, especially when there are people who purposely share it because they want to watch the world burn, but we have a chance to combat it if we do a quick fact check before sharing anything we don't know the validity of. When we continue to not read the whole story but share a link based on the headline or post things that simply aren't true, we can't ever hope to get ahead of the problem. The ironic thing is, with more fake news there's also more websites and apps with the sole purpose of checking the validity of trending information, we're just in too much of a hurry to use them. Confirmation bias, simply put, is our tendency to interpret new information/evidence as supporting our pre-existing opinions, whether it actually does or not. There's also similar theories and biases that say we tend to blatantly ignore counter-evidence, even when it's staring us in the face. It won't be an easy thing to do, but we need to start training ourselves to not only see this counter-evidence, but also consider what it means and maybe go so far as to adapt or change our opinions. I think this one is fairly straightforward. Obviously, your opinions are what they are for a reason ― you have some evidence or experience to back them up. But everyone's life experience is different ― no two people live the exact same life. And so, no two people are ever going to agree on everything. Which means there's absolutely no chance you're going to get the majority of the population to agree with everything you think. Just because you have an opinion and you have a reason for having it, doesn't mean you're right and everyone else is wrong. We all need to be a little more respectful of one another. We could solve a lot more problems if we had those intelligent discussions that acknowledged people's different viewpoints, rather than fighting with one another because we can't admit we just might be wrong about something.